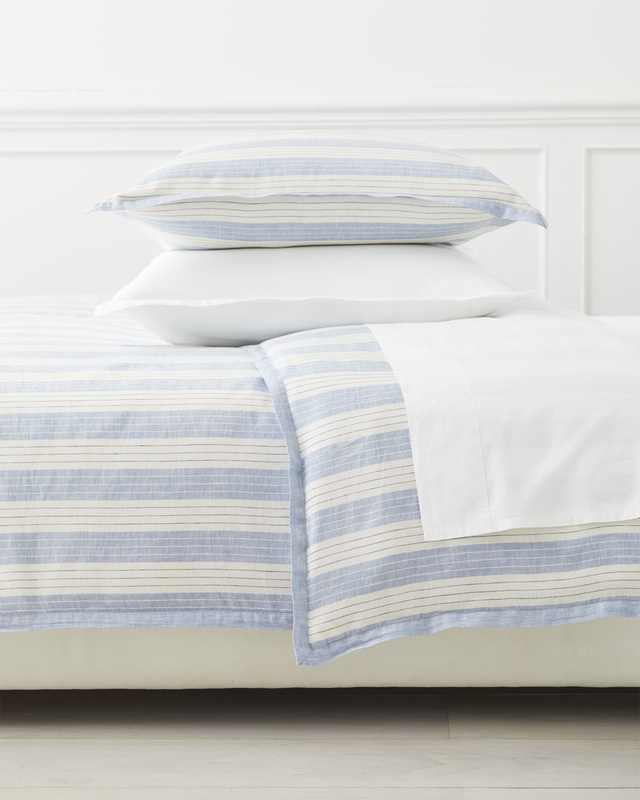 Porto Linen Duvet CoverPorto Linen Duvet Cover, Blue Chambray alt="Porto Linen Duvet Cover, Blue Chambray"
Print We love the way the relaxed texture of linen brings a laid-back quality to these structured stripes. Featuring a chambray weave with a soft, heathered look, it’s naturally breathable to keep you cool during warmer nights and cozy when the evening chill comes along. We matched this color palette back to our other linen collections for easy layering, and added binding around the edges for a crisp, finished look. 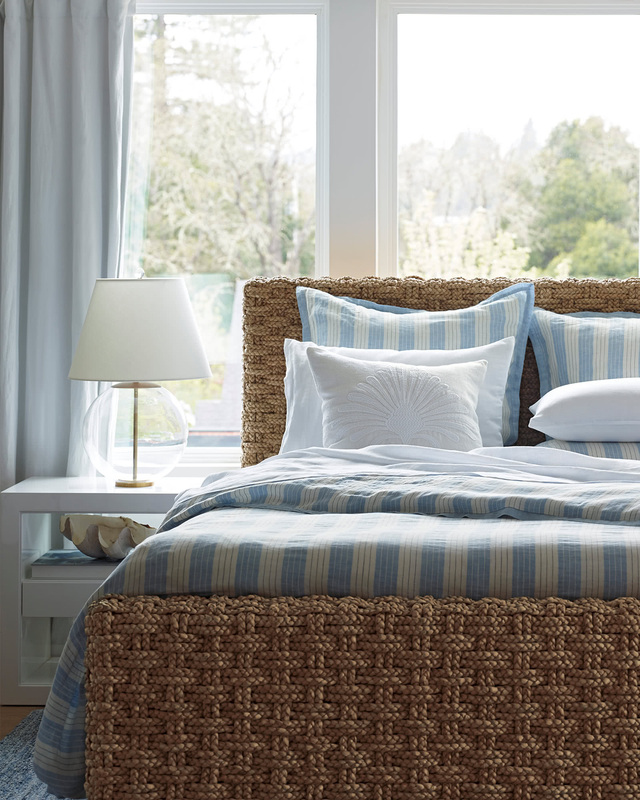 Made in Portugal, a country long celebrated for its amazing textiles. 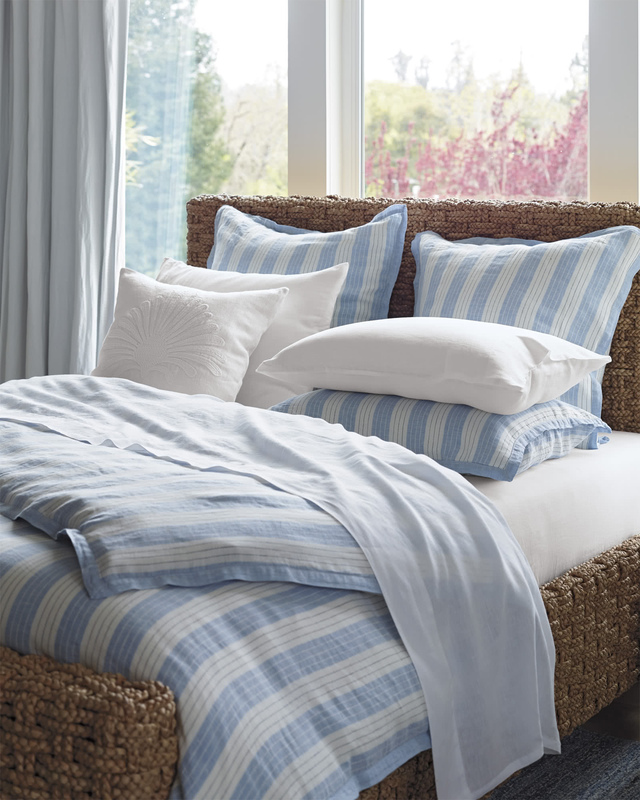 Woven from 100% washed European linen. 1” binding on all edges. King/Cal King: 108" x 92”.